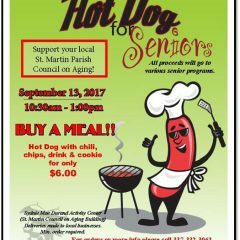 St. Martin Council on Aging will have a fund raiser on Wednesday, September 13th at the Sydnie Mae Durand Acitivity Center, at 391 Cannery Road. Hot Dog with Chili, Chips, Cookie and a canned Drink for $6.00. 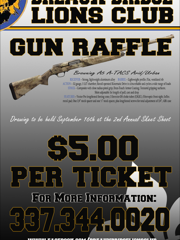 For more information call 337-332-3063. All proceeds benefit the Meals on Wheel Program. Heartstrings and Angel Wings, Inc. Sonnier’s Barber Shop South Louisiana Community College (SLCC) We appreciate your support! The Breaux Bridge Area Chamber of Commerce is proud to present a featurette showcasing our 2017 honorees in local business. 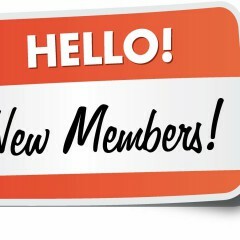 New BBACC Members for July Fifo & Filfi’s Dog Grooming Spa Cricket Wireless Bergeron’s Collision Service, LLC.